Offering you a complete choice of products which include 8 color 8 station manual printing machine without micro registration, 8 color 8 station manual printing machine with micro registration, 4 color 1 station manual printing machine, 6 color 6 station manual printing machine without micro registration, 6 color 6 station manual printing machine with micro registration and 4 color 4 station manual printing machine without micro registration. 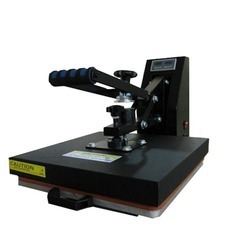 A heat press is the T Shirt Printing Machines that presses a transfer onto an imprintable substrate. Using high temperatures and pressures for a certain amount of time, the transfer is permanently embedded into the product. Automatic sequential start/finish. multiprint. sample print functions. 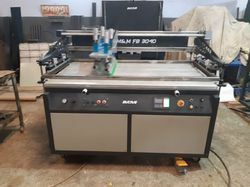 I introduce my self as a leading Screen printing machines manufacturer of Fully Automatic , manual version all related products to garment screen printing, We are serving this industry for past 25 years .we have 3000 and above satisfied customers in and around Asia. we want to establish our business in your region. We need your cooperation.Our Fully Automatic printing machine is a true industrial printing machine which is made to run long with stability. which you have see to believe it. 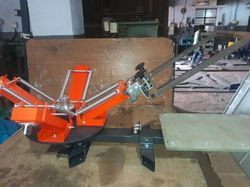 our printing machine is made with virgin steel and aluminum material with CNC Cutting ,bending, forming machines .All the electrical and electronics, Servo and Plc parts which we have used are the worlds leading brand available in local and international market.Please go through the brochures of our Fully Automatic screen printing machine PRINTS ONE . In Fully Automatic printing machine we have many models , please go through the brochures and send us your exact requirement.thanks in advance, if there is any clarification please feel free to contact us. For demo please go through below youtube link. 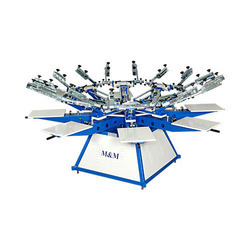 We are manufacturer of Automatic Screen Printing Machine. 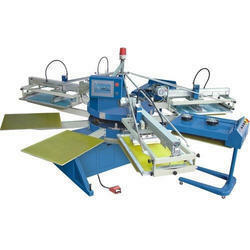 •We deal with Automatic Screen Printing Machine. 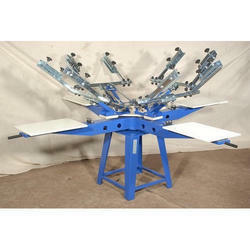 Looking for “T Shirt Printing Machine”?